Soon to be on bedroom walls everywhere. 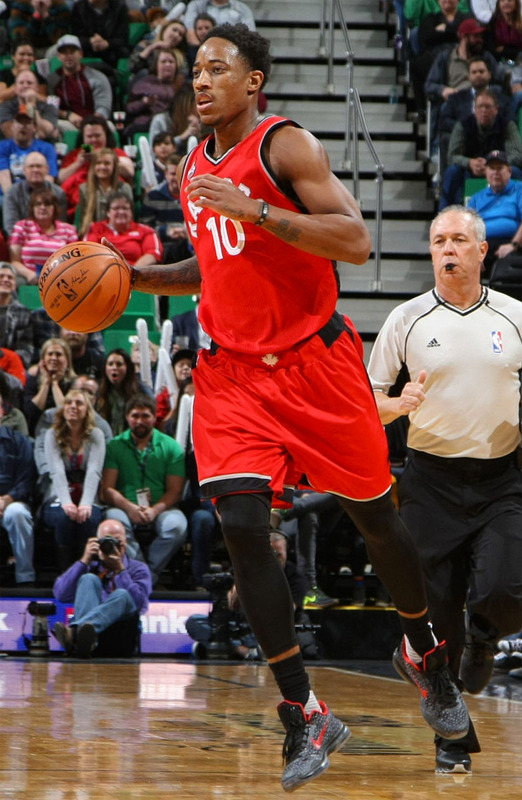 Putting up some of the best numbers of his career, DeMar DeRozan led the Toronto Raptors into Utah last night for a meeting with the Jazz. And though the Raptors ended up dropping the game 93-89, all the talk has been about DeRozan and a poster dunk he had over rim protector Rudy Gobert. 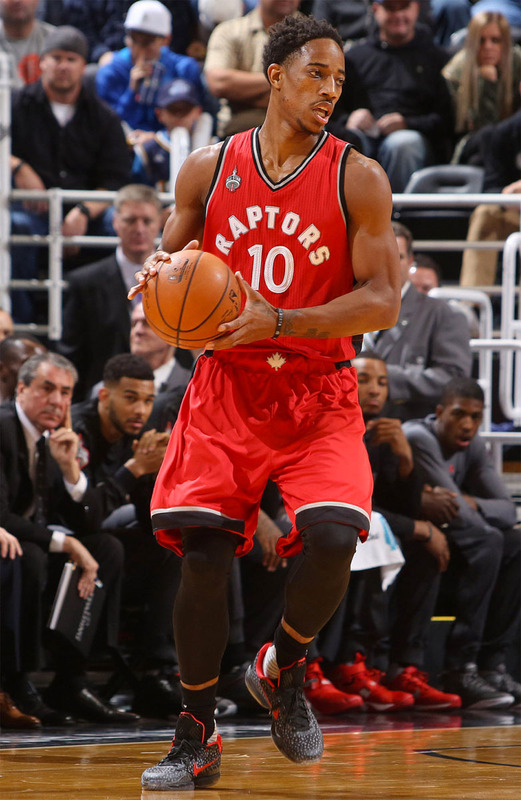 With things tight in the 4th quarter, DeRozan received a pass from DeMarre Carroll beyond the arc. He blew by Gordon Hayward off the dribble and was confronted by Gobert at the rim. 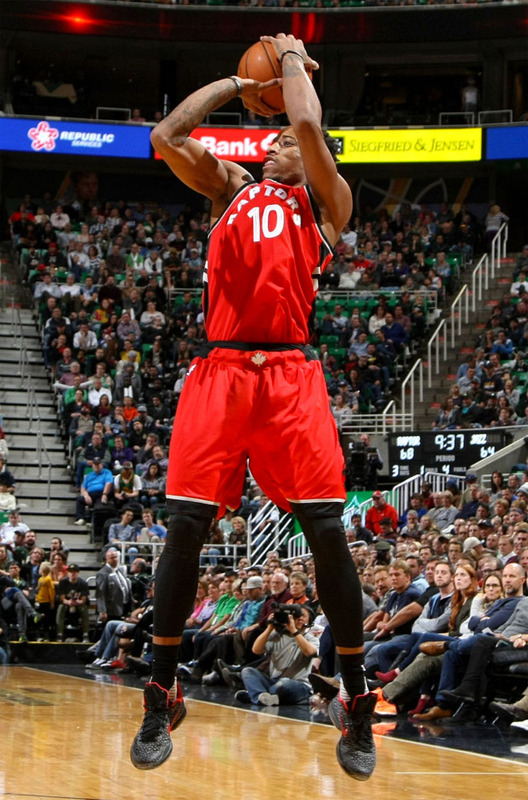 DeRozan absorbed the Frenchman's contact and threw down a one-handed flush that even had Jazz fans buzzing in the arena. The season is young, but it's hard to name a better dunk so far. 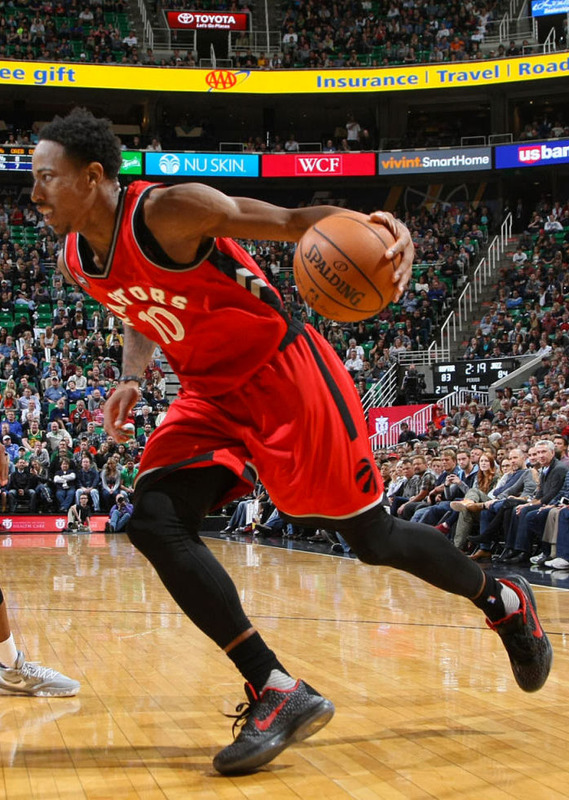 DeRozan's posterization of Gobert happened while he was wearing an iD make-up of the Nike Kobe 10, designed with the safari option. Check out a few in-game shots below.